We upload the Judgement as it is an incisive critique of the so-called miracles and false claims. THIS WRIT PETITION FILED U/A 226 & 227 OF CONSTITUTION OF INDIA PRAYING TO QUASH THE ENTIRE PROCEEDINGS IN C.C.BI,1703/2006 ON THE FILE OF THE PRL.CIVIL JUDGE (JR DN) AND JMFC, MADIKERI AND ETC. In the writ petition the petitioner has prayed for a writ in the nature of certiorari to quash the proceedings in C.C.No. 1703/2006 on the file of Principal Civil Judge (Junior Division) and JMFC Madikeri and reject the complaint dated 27.02.2008 as per Annexure L and for other reliefs. 2. Petitioner is a teacher in Swamy Vivekananda Higher Primary School at Doddaballapur in Bangalore Rural District. Petitioner travels extensively to debunk miracles and try to find and establish the scientific truth behind the miracles. An organization called Shivashakti Yuva Vedike situated at Madikeri invited the petitioner to perform a programme on miracles at Madikeri on 26.02.2006. Accordingly the petitioner conducted a programme exposing the miracles of godmen, witches and tricksters. Large number of people including local officers and elected representatives attended the programme conducted by the petitioner. 3. On 27.02.2006 the second respondent claiming to be an activist of Bajrangadal of Madikeri unit gave a complaint to the jurisdictional police at Madikeri as per Annexure L. In the complaint it is stated that on 26.02.2006 in the night while watching Television channel called MMN he heard and saw the petitioner stating that he will create ‘Thirthaodbhava at Talakaveri’, ‘The eagle revolving round Garudagambha at Sri Aiyappaswamy Temple as false’ and also the ‘Light that appears on Makara Sankranthi as false’. 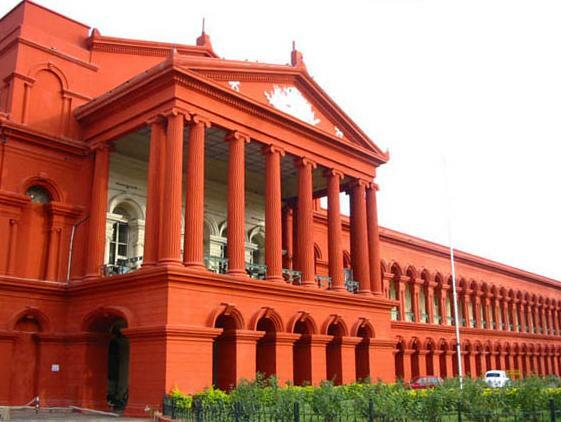 These alleged statements said to have been made by the petitioner wounded the Hindu religious beliefs, practices and customs and therefore the respondent No.2 lodged a complaint requesting the jurisdictional police at Madikeri to take appropriate action against the petitioner in accordance with law. 4. This complaint at Annexure L came to be registered by the jurisdictional police in crime no. 21/2006 for the offences punishable under Section 153-A IPC. After investigation the police have now filed a charge-sheet against the petitioner for offences punishable under Section 298 IPC. The Jurisdictional Magistrate had taken cognizance of the offence under Section 298 IPC and issued non-bailable warrant as per the order dated 30.10.2006 – Annexure X. Hence, the petitioner is before this Court for a writ of certiorari to quash the proceedings in C.C.No. 1703/2006 and also the complaint at Annexure L.
5. Heard arguments on both the side and perused the entire writ papers. 6. Un-freedom is the result of oppression and freedom is the outcome of liberation. It is through long drawn struggles man has achieved the freedom of speech and expression. The struggle for India’s independence was also the struggle for freedom of speech and expression amongst other. One of the values foreseen during the freedom struggle was to provide fundamental rights to the citizens of India. Our Constitutional makers realized that Freedom of Speech and Expression is he basic prerequisite of democratic setup to which we have pledge ourselves in our Constitution. Thus the echo of freedom struggle for freedom to speech and expression was translated into a fundamental right in Article 19(1)(a) of our Constitution. This fundamental right to speech and expression is not an absolue right. The State is empowered to enact law imposing reasonable restrictions on the exercise of this right in the interest of sovereignty and integrity of India, the security of the State, friendly relation with foreign States, public order, decency or morality, in relation to contempt of Court, defamation or incitement to an offence. In the Republic of India the judiciary has zealously guarded and expanded this important fundamental right to speech and expression in several pronouncements. 7. This freedom of Speech includes freedom to dissent. Our Constitution do not recognize freedom to destroy freedom to dissent. Any form of intolerance to dissent is dangerous to democracy. This right to dissent should be unhampered by the cramps of the past or the shackles of the present. French writer Voltaire said ‘I do not agree with a word of what you say, but I will defend to death, your right to say it.’ If a person exercises this freedom to dissent, State should not interfere unless it comes within the reasonable restrictions. The State is under an obligation to ensure that every citizen of India enjoys freedom o speech and expression which includes freedom to dissent. 8. For social development of a society the fullest possible opportunity for the free play of the human minds is an indispensable prerequisite. Therefore the liberty of man to search for truth ought not be fettered, no matter what orthodoxies he may challenge. More than just freedom of speech, we need active debate on all important issues. Progress is made, not by comfortably agreeing with the conventional wisdom, but by having the courage to say that no one else is saying and to say it with scientific reasons that motivate people to change their opinion. For development of thinking process, for efflorescence of rational facilities, for broadening of mental horizons, for the full growth of human personality it is imperative that one should have access to all kinds of views. In a democracy it is the duty of State to provide access to all kinds of views to its people. - But after careful observation and analysis, when it agrees with reason and it will benefit one and all, then accept it and live by it. “Basaveshwara was rationalist and free thinker. India cannot boast of a long tradition of free thinking, although its contributin to intellectual heritage of mankind is quite substantial. Free thinking was not encouraged in India excepting a few flashes during the period Upanishads and during the rise of Buddhism. 14. It is difficult to distinguish between ‘blind beliefs and faiths’ from ‘beliefs and faiths’. The dividing line is very thin. There are explained beliefs and faithfs. There are also unexplained beliefs and faiths. There are beliefs and faiths which are non-violent, provide solace, creates confidence and useful to the people. A blind belief not based on reason, knowledge or experience is called as superstition. These superstitions are found all over the world and in all walks of life concerning all activities throughout history. Like people of the World over, most Indians are superstitious. Even the daily life of Indians is governed by superstitions. 15. There are superstitions which are violent, dangerous, destructive, harmful and inhuman. The superstition of human sacrifice still continues. The practice of torturing women to death in the name of `Witches’ or `Sorceress’ is still continuing. The greatest damage done by these harmful superstitions is that they deflect attention from the primary cause and lead to defeatist attitude of helpless acceptance. They stand in the way of unearthing the root cause and undertaking adequate remedial steps. They made the ignorant people weak and driven them for mental laziness. They deprived the people of all grandeur and historical energies. They subjected man to external circumstances, instead of elevating man to be the sovereign on circumstances. They transformed a self-developing social state into never changing natural destiny. These superstitions are perpetuating and promoting exploitation, slavery, untouchability, inferiority complex, superiority complex, caste, creed, gender and varna based inequalities. They became instruments in the hands of few to exploit, cheat and deceive the ignorant people. Pandit Nehru wanted this rationalism of science to spread throughout the length and breadth of our land. To him this appeared to be the only method of alleviating the suffering of our country and rising them from the object state they were in. To him scientific temper was the sword which by its rationalism could fight the darkest forces of superstition. It was also the shield which could protect the people of India from prejudice, ignorance and obscurantism which have kept the people enslaved and degraded all these years. Only by having the scientific temper in every one, India could launch a new adventure into the unknown. 17. By experience we have realized that to some extent education and economic development can help in eradicating superstitions. But, scientific temper and spirit of enquiry is a must for eradicating superstitions. Why should we have to develop the scientific temper? Science is the knowledge of the structure and dynamics of the world around us. Developing scientific temper means pursuit of ways of understanding the world around us, so that we may function more efficiently, more effortlessly and more happily. It questions rational based on factual assessment and helps in eradicating dogmatism. It helps as a powerful tool in eliminating customary irrational practices. It creates a conducive atmosphere to eradicate class discrimination, slavery, bonded labour, untouchability, gender discrimination and racial discrimination. 18. It instills courage by including true knowledge based on truth, factual information and realistic approach. It also creates an independent ability to accept things and situations after due enquiry and questioning instead of blindly accepting things merely on the ground that a prominent person has said so or it is stated in a holy relic. It helps in developing self respect to maintain independent and boosts self confidence. It makes an individual to come out of illusionary myths and helps him understanding the real meaning of life. It helps to fight courageously in time of need. It also helps in eliminating inferiority complex and boosts self confidence. 20. Fundamental duties as defined in Article 51 (A) are not made enforceable by a writ of Court just as the fundamental rights are. But every citizen of India is fundamentally obligated to develop scientific temper, humanism and the spirit of enquiry. It is the duty of every citizen to contribute to reform the society for better way of life. Whenever there is threat for a citizen for discharging his fundamental duties then it is obligator on the part of State to protect such a citizen. A citizen is also entitled to approach the writ Courts for a direction to the State to extend protection to perform his fundamental duties just as he is entitled to protect his fundamental rights. 21. Respondent No. 2 gave a complaint to the jurisdictional police on 26.02.2006 as per Annexure L and the same came to be registered in Crime No. 21/2006 under Section 153(A) of IPC. After investigation a charge sheet was filed in C.C No. 1703/2006 under Section 298 of IPC. This Court summoned the Home Secretary to be present before this Court to explain as to why action should not be initiated against the erring officer who has conducted improper investigation. Accordingly on 04.06.2010 the Home Secretary was present before this Court and promised that he would initiate action immediately and take appropriate steps against the concerned Investigating Officer. Respondent No.1 with their statement of objections filed copy of the order dated 06.07.2010 imposing a minor penalty of withholding one increment for a period of one year on the Investigating Officer who investigated the matter in this case for improper investigation. This material on record manifestly establishes that respondent No.1 concedes that there is improper investigation in the matter. On this ground alone the criminal proceeding against the petitioner are liable to be quashed. “Whoever, with the deliberate intention of wounding the religious feelings of any person, utters and word or makes any sound in the hearing of that person or makes any gesture in the sight of that person or places, any object in the sight of that person, shall be punished with imprisonment of either description for a term which may extend to one year, or with fine, or with both. 23. A reading of Section 298 IPC specifies that the following essential ingredients are necessary to constitute an offence. iii. that the accused did so with deliberate intention. 24. In the complaint Annexure N it is not alleged that the petitioner directly uttered any words to respondent No.2 offending him. Further in the complaint it is alleged that the petitioner uttered words with deliberate intention of wounding the religious feelings of respondents No.2. In the absence of these essential ingredients in the complaint at Annexure L there is no offence committed by the petitioner under Section 298 of IPC. 25. In the complaint at Annexure L it is alleged that respondent No.2 while watching Television Channel heard and saw petitioner uttering some words. The statement of person in charge of the Television Channel is not recorded. The Compact Disk, popularly called as CD, telecasting the alleged statements make by the petitioner is not seized. Though respondent No.2 had undertaken to produce the CD before the police has failed to produce the same. In the additional statement of respondent No.2 he has stated that he cannot produce the CD. The Investigating Officer during the course of investigation recorded the statements of four witnesses as fund at Annexure C, T, V and W. A reading of these statements makes it clear that there is no change from the statement of one witness to the other witness. The statement of these witnesses is nothing but carbon copies of the same statement. Except the complaint Annexure L and the statement of witnesses there is no other evidence on record. Even if this entire evidence is accepted, then the same do not constitute an offence under Section 298 IPC. 26. An order summoning a person to appear in a Court of law to answer a criminal charge entails serious consequences. Therefore at the time of issuing the process what the Court is required to do is to find out whether there is prima facie case. The Court should apply its mind and take note of the allegations made in the complaint; the evidence collected in the course of investigation, the involvement of the accused in the offence and is it an abuse of the process of the Court. The Court shall not issue the process in a mechanical manner. In the instant case, as already held, even if the entire evidence collected in the course of investigation is accepted, the same do not constitute an offence alleged against the petitioner. i. Writ petition is hereby allowed. ii. The proceedings in C.C No. 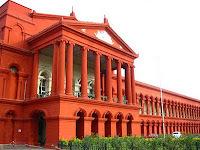 1703/2006 on the file of Principal Civil Judge (Junior Division) and JMFC, Madikeri are hereby quashed. iii. The complaint dated 27.02.2008 – Annexure L is hereby quashed. iv. The petitioner is discharged. Thanks for posting a beautiful blog. As All India Mahila Empowerment Party Invited you all Karnataka people to come and join Campaign in Chilballapur on 20th January 2018 venue at CSI Hospital Ground. Give MEP a chance to rebuild Karnataka with a new direction. Join hands with MEP. Vote for MEP! Vote for Diamond!